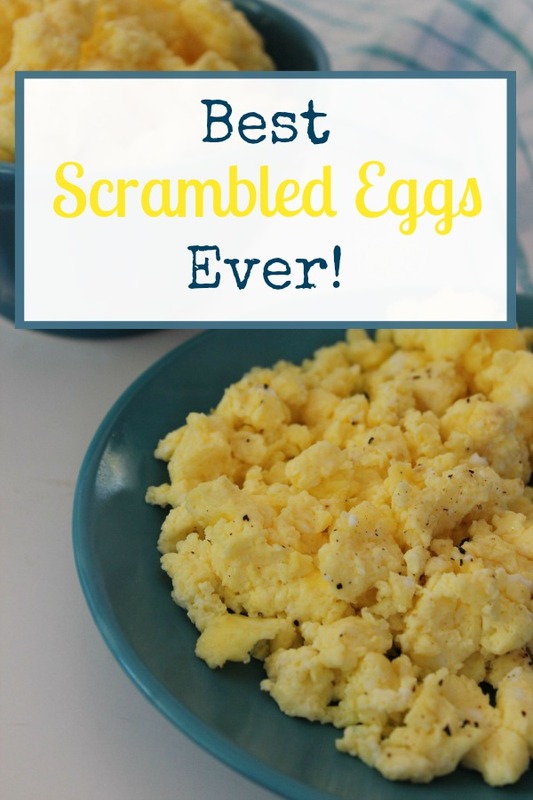 Want to know how to make the best scrambled eggs ever? It’s not what you think. (Okay, your secret is probably good too, but here’s another one). Make them in the oven! Weird right? Why would anyone want to scrambled eggs in the oven? Well, as it turns out, there are several reasons to make oven scrambled eggs. First of all, making scrambled eggs in the oven is a great way to feed a larger crowd without as much work. If you have several people staying at your house over the holidays, you may not have a pan large enough to cook a scrambled egg recipe large enough for all of your guests. Use the oven instead, and you can cook for more people at a time without increasing your clean up. Furthermore, making oven scrambled eggs allows you more time to make a variety of breakfast ideas. Instead of being stuck at the stove top constantly stirring your eggs so they don’t stick to the pan, you can stick them in the oven and go work on something else for a while. You can mix the ingredients a little bit ahead of time, too, to make your cooking schedule a little more flexible. The most important reason to try making scrambled eggs in the oven, however, is how yummy they are! Cook these eggs for just the right amount of time for your oven (cook times will vary) and you’ll have moist, fluffy scrambled eggs that your guests will love! 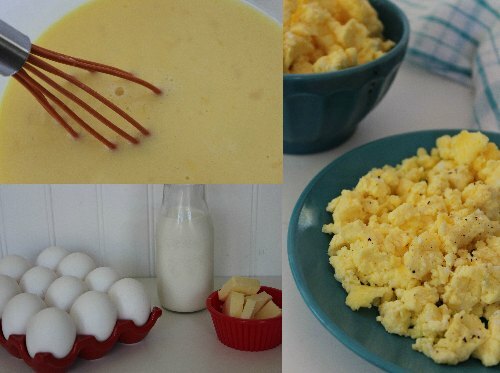 Have you ever tried making scrambled eggs in the oven before? What other scrambled egg tricks do you have? Pour melted butter into 13 x9 glass baking dish. Whisk together milk, eggs and salt. Pour eggs into prepared dish. Bake 15 minutes, then stir and bake an additional 15 minutes or until eggs are set up.